The new facility, located at 4000 N. Silverbell Road. The Pima Animal Care Center accepts homeless, stray, abandoned, surrendered and neglected cats and dogs from all over the county. An enormous undertaking, PACC cares for about 17,000 animals every year. That's an average of 61 pets arriving per day, according to their 2018 annual report. This year was the first that PACC operated out of their brand new facility on Silverbell Road. 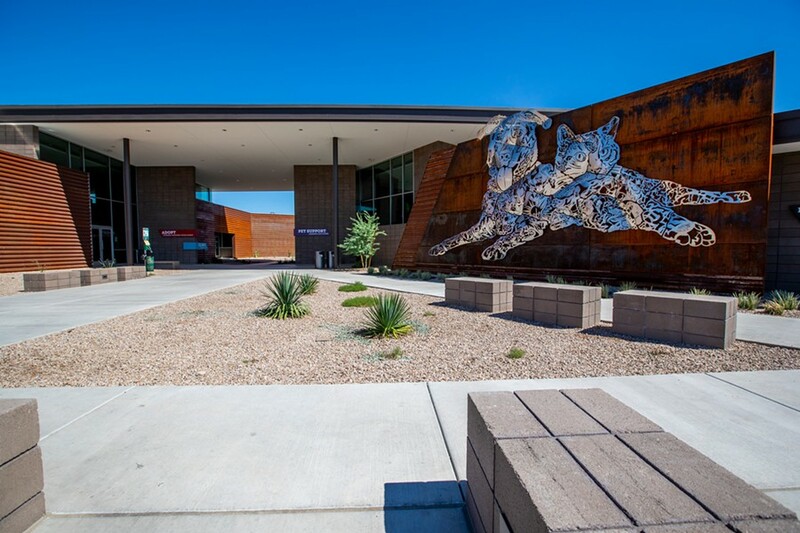 The building was funded in 2014 by voter-approved bonds and features a new veterinarian clinic, pet housing areas, indoor and outdoor kennels, improved ventilation and separate lobbies for adoptions, pet support services and medical help. The report states there were 10,893 animals adopted this year, which is a 15 percent increase from last year. 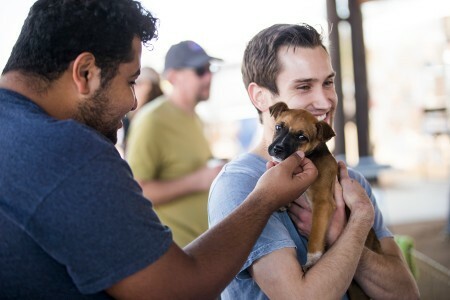 2,000 Pima County families fostered 5,080 cats and dogs as well. 90 percent of the animals that came to the shelter were placed in a home. Almost 2,000 lifesaving surgeries were performed by PACC's veterinarians and almost 9,000 spay and neuter surgeries were performed, which helps decrease the population of stray and feral animals. A record-breaking 90,584 hours of service were provided by 1,122 volunteers, which County Administrator Chuck Huckelberry said is equal to 39 full-time staff positions. In his Friday memo to the Board of Supervisors, Huckelberry wrote that the new facility has contributed to zero disease outbreaks within the care center this year. Sick animals are now housed in separate medical rooms, preventing the spread of illnesses. Healthy animals have also seen an increased quality of life while staying in the center. "Group housing rooms, play yards and indoor/outdoor housing for cats and dogs meant this year PACC pets were exposed to fresh air and natural light during their stay, and were able to interact with members of their own species, keeping them happier and healthier," Huckelberry wrote. 14 patrol officers and the animal protection and enforcement program cover the entirety of Pima County, responding to dog bites, cruelty and neglect complaints and licensure and leash compliance, according to PACC's report. This past year more than 26,000 calls were answered, regarding reports of animal cruelty, neglect, leash law violations and sightings of stray animals. "In 2018 PACC had its most successful year yet by every measure," Huckelberry wrote. "This is clearly due to the investment of the Pima County Board of Supervisors, and the continued support of volunteers, staff, foster caregivers, the Friends of PACC, advocates, rescue partners and adopters." The full 2018 annual report can be viewed here.